We value your trust in us and will work hard to earn your confidence so that you can enthusiastically use our services and recommend us to friends and family. CosMedix promises never to sell, rent, barter or share with any third party personally identifying information collected during your use of the Site without your prior permission. From time to time, we may reveal general statistical information about our Site and visitors, such as number of visitors, number and type of goods and services purchased, etc., but we will never reference you by name or specific address. Your trust and confidence are our highest priority. We do collect and store the names, addresses, credit card numbers and other personally identifying information of customers of the Site who make purchase requests. This information is saved in a secure environment and is kept for our records and to make it easier for you to use our services on return visits. In addition to information you provide to us we also automatically receive and store certain types of information whenever you interact with us. We obtain certain types of information when your web browser accesses CosMedix.com. This information is compiled and analyzed on both a personal and an aggregated basis, and it may include the website’s Uniform Resource Locator ("URL") that you just came from, which URL you will go to next, what browser you are using, and your Internet Protocol ("IP") address. Other examples of automatic information we may collect are purchase history, products viewed or searched for, visits to certain pages and page interaction. We associate the information we store in cookies to personally identifiable information you submit while on our site. Information we collect is used to build features that will make the services available on the Site easier to use. This includes faster purchase requests, better customer support and timely notice of new services and special offers. Information collected by CosMedix is stored in a single, secure database, accessible only by us. We do not reveal your name, address, credit card number or other personally identifying information to any participating seller, manufacturer, retailer, or sponsor unless you affirmatively respond to the Provider’s offer and/or the Provider agrees to provide the product or service you requested at your specified price. 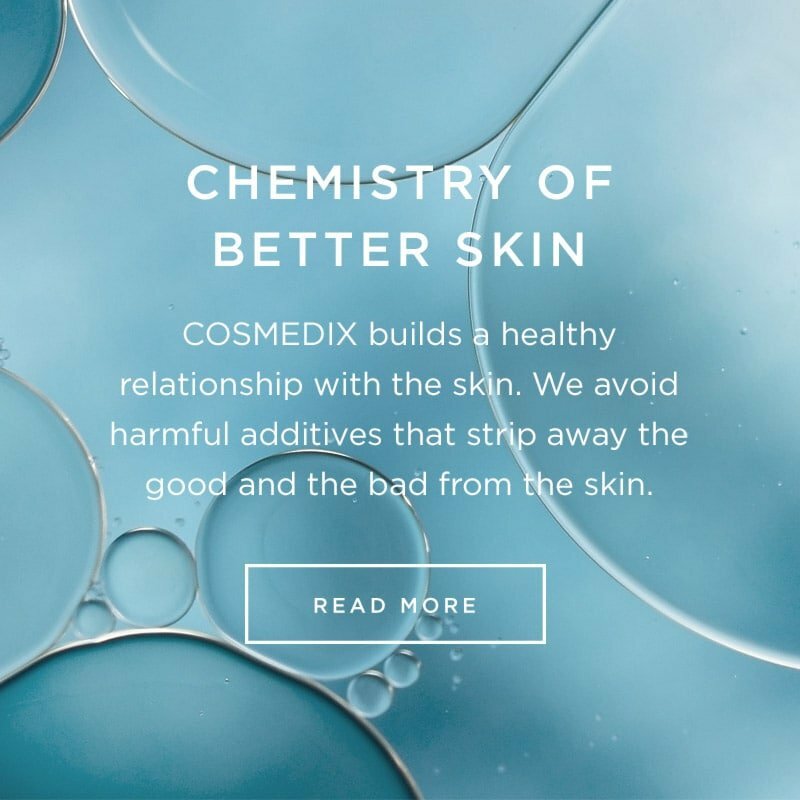 From time to time, CosMedix may contact you to request feedback on your experience using the Site, to assist us in improving the Site, or to offer special savings or promotions to you as a Site user. To protect your privacy and security, we will verify your identity before granting access or making changes to your personally identifying information. To prevent unauthorized access, maintain data accuracy and ensure correct use of information, we will employ reasonable and current Internet security methods and technologies. CosMedix has created a secure environment for credit card transactions. CosMedix uses Secure Socket Layer (SSL) technology to encrypt all your personal information including credit card number, name and address to prevent your information from being read during transmission over the Internet.